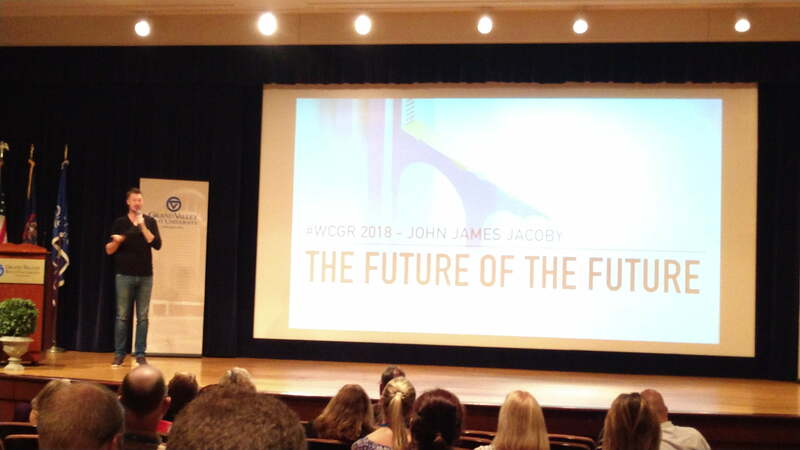 TL;DR – This year #WCGR was all about people and conversations for me. Oh, and trying my hand at speaking, which I didn’t totally bomb. 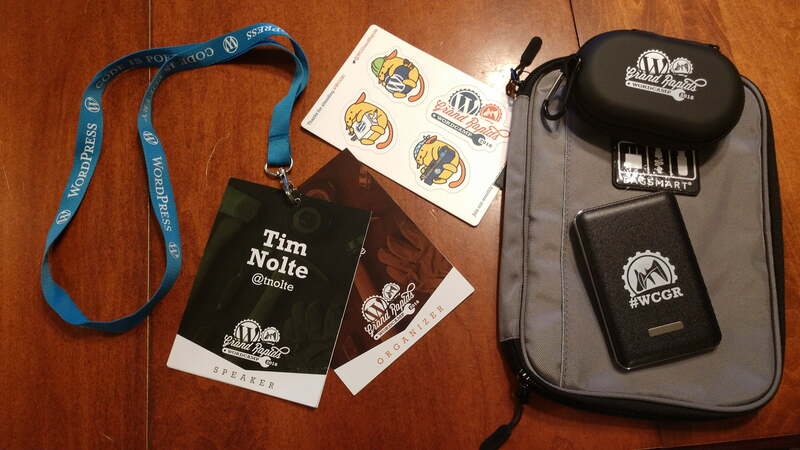 Today marked the 4th WordCamp Grand Rapids that I’ve attended. Last year I was just an attendee but this year I stepped things up in a pretty bug way. I was not only a volunteer at the Happiness Bar, but I helped with organize the event, and was even one of the speakers. 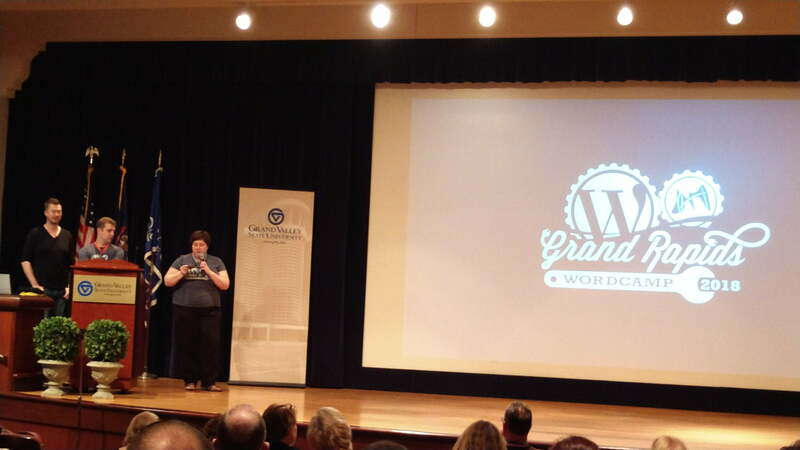 One of the things I love about #WordCamp Grand Rapids, and the #WordPress community is the people. Yet again I felt welcomed as a member of the community, valued for my experiences as a developer and user of WordPress, and encouraged when I had doubts of being a speaker among the likes of @chrislema , @stevegrunwell , @aaroncampbell , @JJJ , @norcross , @rzen , @realjefflarge , @MrKyleMaurer , @marktimemedia , and @Sara11D , just to name a few of some of the incredible line up of speakers. Even with the focus of this years camp being on plugins & tools I can’t see how anyone in attendance would have left feeling they didn’t gain some new knowledge, insight, perspective. I was blown away by the number of stories I heard of people hearing about the WordCamp even just the day before and joining us. I can’t wait for all the talks to be uploaded to @WordPressTV so I can watch all the sessions I missed. I enjoyed getting to know @jboonstra and @fosterthemorgan from @agathongroup during my time at their booth, at the Happiness Bar, and the after party. 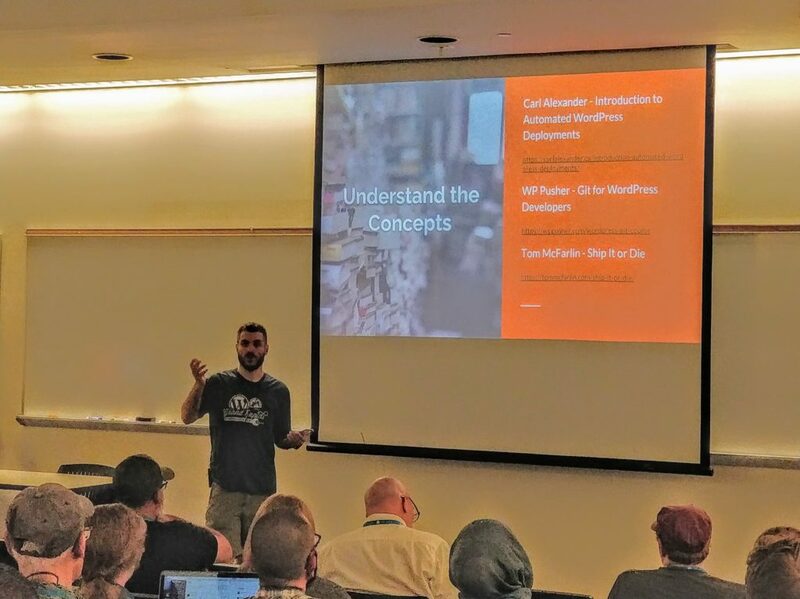 The closing keynote by @JJJ on the future of WordPress, the community, and the online landscape was inspiring with clear calls to action and encouraged our community to continue on the quest of making WordPress what we want it to be. For me, the day flew by, but at the same time I felt every minute was filled with opportunities to engage and learn. I was honored to work along side @mysweetcate , @KJRichards , @bonnevillessei1 , @thetweeterninja , @NaviKnowsWP , @BGNicolePaschen , @rzen , @realjefflarge , @topher1kenobe to make WordCamp happen. What an awesome team! I’m already looking forward to future camps no matter what my involvement might be! I really enjoyed hanging out with @natereist , @khchristensen , @rudymalmquist , and @fosterthemorgan at the after party and talking about running. The food at @atwaterbeergr was excellent, and plentiful!